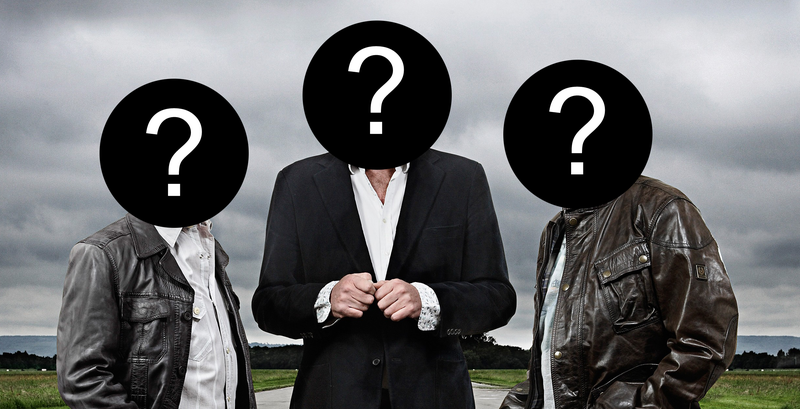 Who could make new, new Top Gear work? By now hopefully everyone has accepted the unsurprising reality that the Top Gear trio are no longer at the helm of the UK Top Gear. To be honest, I never understood how so many people hadn’t seemed to see the writing on the wall. I’ve been expecting at least Clarkson and possibly May and Hammond to step down since Clarkson and producer Andy Wilman sold their shares of the Top Gear property to the BBC in 2012. From my experience one doesn’t hand over that sort of control unless one has more or less finished all they’d like to do with a particular property. So now that what’s done is done, I’m interested to hear other people’s thoughts on a question that I’ve been picking at for some time now: who do you think would be a compelling set of hosts for the next generation of Top Gear? The rumors mill was going full steam, early on predicting that Clarkson’s position would be filled by Chris Evan of BBC Radio 2, and more recently Sue Perkins. Now, I must confess, I was very relieved to hear that Chris Evan had no interest in the show. I don’t think he’s the man for the job. Sue Perkins could have been an interesting match, but she’s rather pointedly said she had no interest in such a project. I probably wouldn’t want to be involved if a bunch of nutters threatened me with death over a rumor I had no control of either. So that leaves the rest of the world! I think the most obvious pick is Chris Harris. His wit, hoonery, and experience in auto journalism make him a pretty good fit. I’m not sure Ferrari would love to have his baggage thrown onto the Top Gear bus, but something tells me that even Maranello wouldn’t say no to Top Gear. The only other name that comes to mind with any sort of immediacy is Idris Elba. I wasn’t deeply impressed with the car show he did a while ago, but I’m willing to chalk it up to bad writing. So, who do you think would give the new, new Top Gear a chance?